2 Bedroom Bungalow For Sale in Marlow for Guide Price £230,000. 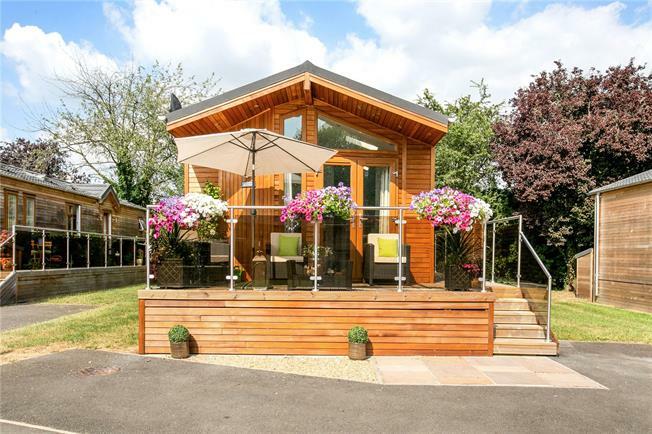 WATERSIDE - A superb, well appointed cedar clad holiday lodge available within riverside parkland grounds of the beautiful Harleyford Estate. Offering 630 square feet of accommodation. Originally designed by Sir Robert Taylor in the late 1740's, the Grade II Georgian Manor House sits in the centre of this gated estate. Providing a tranquil setting, there is access to the Thames path and delightful walks across the Chiltern countryside. Within the estate is the magnificent Donald Steele designed 18 hole private members Golf Club with clubhouse and dining facilities as well as an award winning marina. The charming historic town of Marlow is a few minutes drive with its excellent selection of shops, schools, bars and restaurants. Links to the city can be found via the A404 to M4 junc 8/9 or M40 at junc 4 or by rail from Marlow or Henley to London Paddington. Heathrow airport is about 30 miles away. Each property has a stunning glass and chrome veranda and is located on its own plot with dedicated parking for 2 vehicles. The estate provides 24 hour security. The Harleyford Estate is not only in a designated area of outstanding natural beauty, but also an English Heritage site. The design blends traditional natural materials within the setting and a high quality specification of internal fittings, with integrated kitchen appliances and well appointed bathrooms. Making exceptional Holiday Homes, a full appreciation can only be gained by a site visit. This can be arranged directly with the Marlow office. The lodge comes with the remainder of a 10 year Gold Seal structural guarantee. With built-in Bosch appliances Integrated Fridge/freezer & Dishwasher Washer/Dryer Fitted Carpets & Curtains Electric Heating. Each lodge is sold with the balance of a 40 year lease.